Steve and I just completed another underground expedition with Norwegian explorer Erling Kagge (en.wikipedia.org/​wiki/​Erling_Kagge). It was featured in a three page article on the front page of the NY Times metro section and was written by Alan Feuer (nytimes.com/​2011/​01/​02/​nyregion/​02underground.html). We were also covered by NPR's Jacki Lyden whose report will be aired on 1/2/11 and posted on NPR's site (npr.org/​2011/​01/​02/​132482428/​into-the-tunnels-exploring-the-underside-of-nyc). There may be as few as 40 Javan rhinos left in the wild — and in the world as none currently are living in captivity. (They may be the rarest large mammals on the planet.) Recently a motion-activated video camera in an Indonesian national park caught two very young Javan rhinos with their mothers on tape. Not only are they extremely rare, they also only give birth about once every four or five years. Javan rhinos used to be widespread in various parts of Asia, but poaching decreased their numbers drastically. Traditional Chinese “medicine” has driven the price of rhino horn to as much as $30,000 per kilogram even though scientifically it has been proven to have no medicinal significance. The main ingredient of rhino horn is simply keratin, the same protein found in human fingernails so consuming rhino horn powder would have the same effect as eating one’s own fingernails. The superstitious false belief in rhino horn has fueled the poaching of rhinos for 2,000 years. The news is especially good because Javan rhinos are solitary and prefer to stay far from humans, which makes it very difficult to study them. Javan rhinos live about 30-45 years in the wild, and are herbivores. 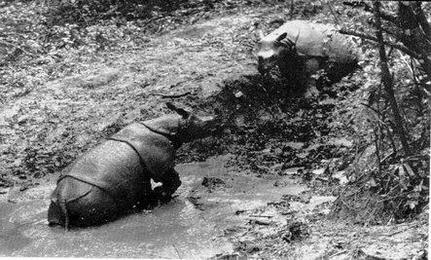 Any Javan rhinos that were kept in captivity did not do well, dying at about half their lifespan in the wild. They have no known predators other than humans. Another large mammal on Java already went extinct — the Javan tiger. They were all shot, and their habitat was converted for agriculture. The situation for the Javan rhinos is dire, but at least there are conservationists trying to protect them. They are still at risk from poachers who want to cash them in for a quick sale on the black market. At the unveiling of the iPad 2 this morning, Apple's presenters noted that 2010 was the "year of the iPad," adding that 2011 would not be the "year of the copy cats," taking a stab at the competition before presenting the latest features of the all new iPad 2. How does the competition stack up? Check out this infographic to see for yourself. 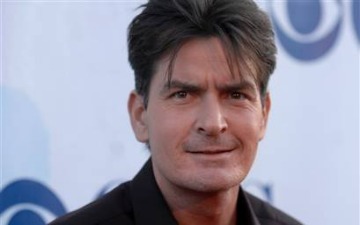 The best YouTube video of the day has to go to a hilarious mash up that Jimmy Kimmel produced about Charlie Sheen. Jimmy Kimmel made a video of Charlie Brown being Charlie Sheen, which is absolutely funny! Click on an image and dive into a mosaic of hundreds of pictures of marine and terrestrial species found on the South Pacific island of Mo‘orea. Photographs courtesy the Biocode Project and National Geographic contributing photographer David Liittschwager. If the duration of the useful life of a product contributes significantly to a reduced ecological footprint, then the VW Bus is the model of sustainability. If the hours of joy accumulated by the people that spent time in a vehicle is a measure of value, then the VW Bus is a pearl of great price. But at some point the antiquated, fuel-guzzling, smoke-belching technology overtakes the environmental benefits of keeping that original VW Bus running. So it is with anticipation and great expectations that we await the serialization of Volkswagen's 2011 Geneva Auto Show concept car: a VW Bus reminiscent of the olden days but outfitted with promising modern technology. The famous Transporter 1 (T1) has been dubbed the world's first van. Historians attribute the design to Dutch importer Ben Pon, who in 1947 sketched the idea for a boxed-in vehicle with front wheel drive and a rear engine after being inspired by a vehicle that VW workers had built for transport needs at the factory. The Bus went into production in 1950 and already by 1951 the iconic 23-window Samba bus was rolling off production lines. Since then, the van known as the "Microbus" to Americans, as "Bulli" to Germans, has entered millions of hearts, and will forever be associated with the Hippies although it carried an awful lot of ordinary families on vacations that linger in the memory years later. But this time around, the "hippies" are lined up against combustion engines, even against the concept of personal transportation. How will the legendary bus make its mark on a new generation of people who are fighting a philosophical battle every bit as game-changing as that of the "flower children?" The new VW Bus will have an electric engine option. The study envisions an 85kW (115 horsepower) engine, with lithium-ion batteries covering a 200km range. The retro bus will reach a top speed of 140 km/h (87 mph) with 0-100 in a modest 11.5 seconds. But could the new VW Bus take the greening of personal transport to even higher levels? Wouldn't it be wonderful if the Microbus of the 21st Century goes down in history as the icon of a whole new model for personal transport? Can you imagine car-free masses reserving their electric bus at an agency like Zipcar for the occasions when they must step away from the public transportation infrastructure and venture on holiday to remote wilderness to commune with nature? Now, that would be electrifying. Experts rate the chances of this concept car going into production extremely high, and if the Volkswagen webcam (click on concept car) is any indication, Volkswagen's four current people-carriers (Caddy, Touran, Sharan and Multivan) cannot stand in the way of the re-introduction of the retro freedom machine. The girls on the show are on this competition, the last one standing (or sitting) wins. This is the best show I’ve ever seen in my life. The girls are hot, they have tan lines, they’re slapping each other, You can tell there is some animosity towards the end. I’m not sure waiving air at your thigh is going to make it feel better, but go for it. It had to have won some kind of award. Damn these chicks are nice. When they slap they scream a name of a person(Antônio Nunes), this is an inside joke of the show, it means nothing.